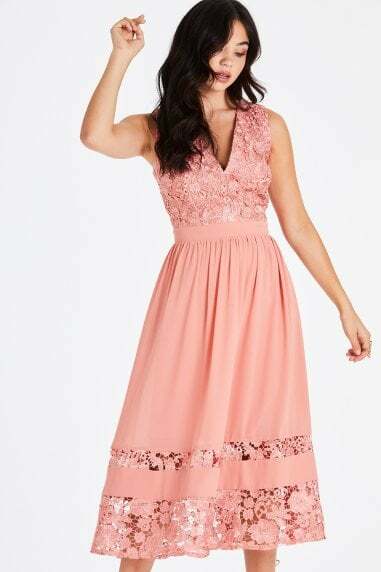 Fit and flare mesh dress with tonal lace trims. Short cap sleeves, narrow waist and gently flared skirt. Button and zip fastening.